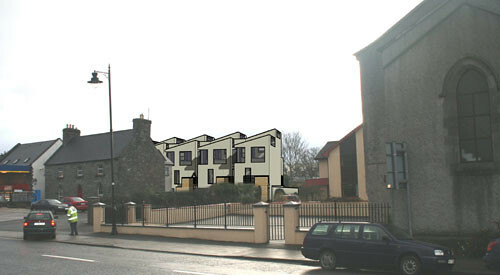 Our second project in collaboration with Taylor Architects for Tom Joyce in Westport, County Mayo, builds in a difficult backland site in the town centre. 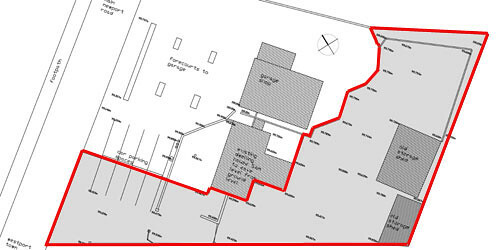 The site sits behind an existing stone house and an adjacent petrol filling station. 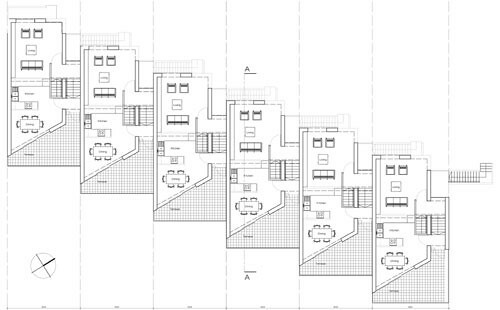 Our project develops the idea of external staircase access and a split-section double maisonette arrangement first promoted at Railwark nearby. 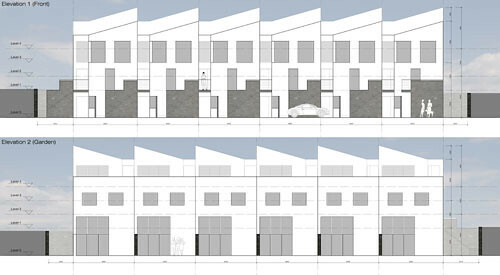 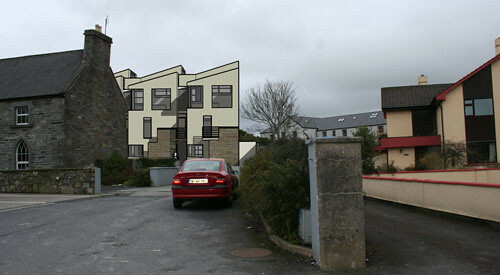 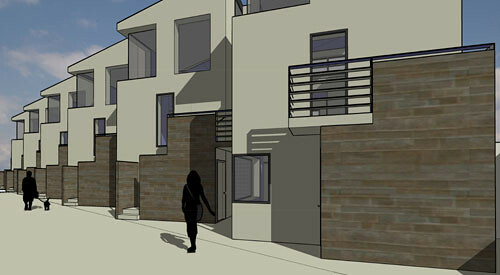 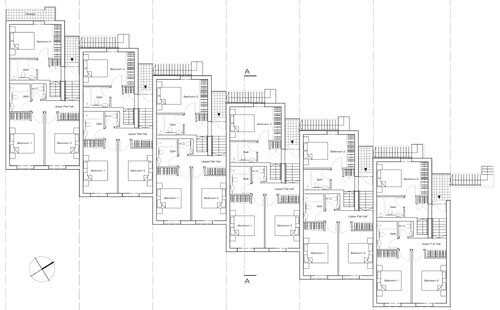 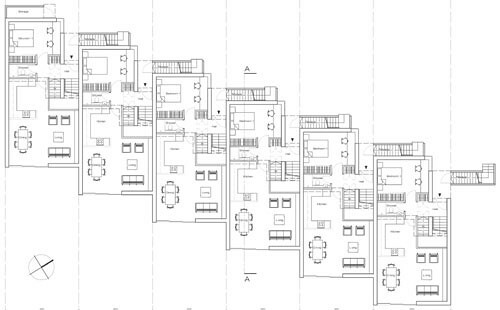 Twelve maisonettes are proposed in an interlocking terrace arrangement. 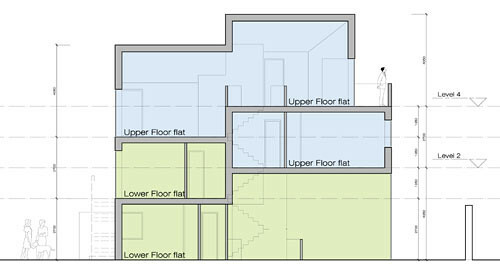 The ground floor maisonettes focus their living areas to the rear where each has a small garden; the upper units reverse the arrangement with a split-section living, dining, and kitchen area looking out to the West, but also with a small roof terrace to the East. 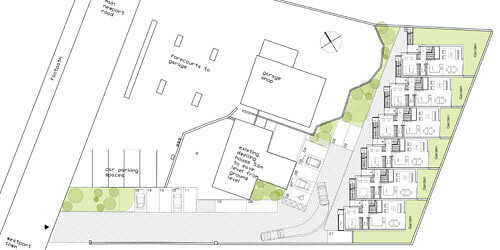 A metal clad roof and white render walls are proposed with significant planting between the new housing and the petrol station and existing house nearby. 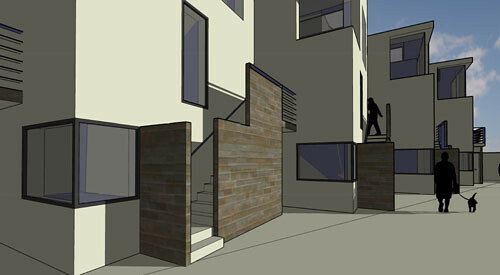 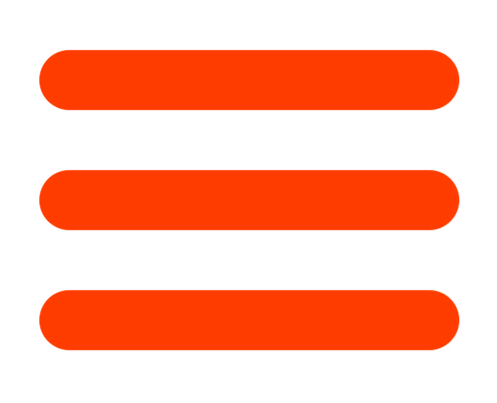 The project is currently in abayance.